Our schools has used Learning Through Music to enhance our music programs for over 10 years. The professional relationship developed with our school has been outstanding. All administration, the management of bookings, creation of timetables is done outside of school. They are really flexible, where possible working around excursions and whole school events. Our studentsand parents are really happy with the standard of tuition as well as the learning outcomes. 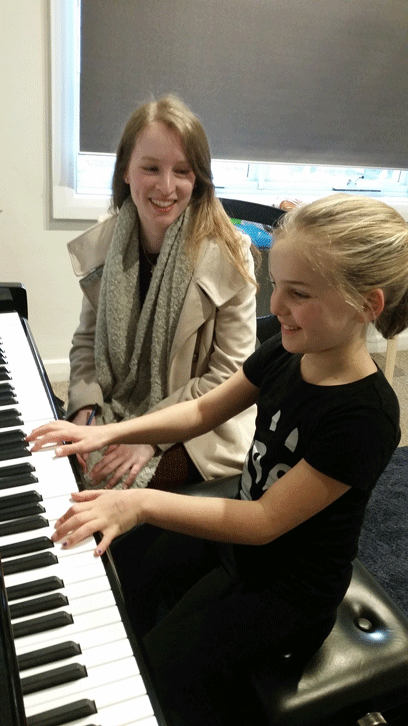 Ourschool community would be happy to recommend Learning Through Music for keyboard, guitar and vocal lessons. Prospect Primary School currently has over 80 Reception to Year 7 students participating in private music lessons coordinated by Learning Through Music. Over the past 5 years, the program has grown in popularity and in the variety of musical instruments offered to our students. The music teachers working in our school are screened to ensure their suitability when working with our students. We also have a number of students with disabilities who are positively engaging in music lessons that are delivered differently, depending on their needs. Learning Through Music does all the work, timetabling, screening of music teachers, liaising with parents and collection of payments. Any changes to lessons times are quickly followed up. It works so well for our school community. We have been more than happy with the Learning Through Music program for our students. I have used Learning Through Music (LTM) exclusively at both my schools now since they started in 2012. I find Karyn (owner) and Sue (office manager) so helpful with all my questions, concerns and in finding excellent well suited tutors for both my schools. As the Performing Arts Coordinator I love the ease of finding new tutors with LTM – in fact they let me know what will be taking over from whichever tutor is leaving (generally due to conflict with Uni timetables when semesters change). They arrange a letter to go out to parents about the new tutors as well, which frees my administration time. The students love the LTM tutors. They are great at making the students feel comfortable within lessons and because of this students are very keen to attend lessons. Both the tutors and the owner (karyn) support the schools annual Instrumental Evenings but attending each year to support the students performing. I would highly recommend LTM for any school and am happy for you to call me on 0427 007 858 if you have any further questions. The Learning Through Music Program offers a range of instruments for students which includes piano, keyboard, voice, recorder and guitar. Lessons are engaging and well-structured on a weekly basis by the staff who facilitate the program. The planning, organisation and payments are all arranged through LTM which makes that aspect of the program self-sufficient for schools. LTM keep communication open and available at all times to both the school and families. The Learning Through Music team support the students during our Annual Music Evening. They also support and prepare our students who are auditioning for placement in a specialist music school.